Game industry and bird watching. Good stuff in Finnish national newspaper Helsingin Sanomat. Here is briefly summarized what they wrote about Bugbear. Now there is one long post title. Bugbear Entertainment has been churning out car games better part of their history. Year 2013 looked like it might be the last as the publisher of their previous game had defaulted on some payments AND the current game had not attracted publisher. Money was running out and ever diligent taxman came visiting for some unpaid taxes. SO HOW DID THEY MANAGE TO PULL THAT TOTAL TURNAROUND? As the last resort they put the game on sale on their company website just before Christmas and what do you know - Santa came knocking. The game torso was still badly in development but people were buying it. This was needed encouragement for the Bugbear and in January 2014 they put the Next Car Game on Steam and it went straight to January TOP10 list. In just one week it sold for 1 million dollars and in coming two months for 2 million dollars more. Multiplayer version is coming out for the Christmas. Good times to be an independent game developer. So you want to play games all day long and eat chips at the same time - hmm - remind me not to share that greasy controller with you. Anyway that eating-while-gaming idea will work wonders to you figure and by the time people start to mistake you as a couch it is time to act. Here are some brilliantly passive ways for gamers to lose some weight. This should be no-brainer as sitting and playing will first make your muscles go Johnny Winter and then you get horrible back pains. Having no muscles also makes you use less energy, which in turn tanks you up with fat. If you stand and play you can make this vicious circle to spin the other way around. Grow and maintain muscles, which use more energy and burn away excess fat... and no more fat man's back pains. I bet you will find it quite surprising that we use more energy to keep our bodies warm than to other activities combined (unless you do heavy physical work or exercise extremely often). When the temperature falls our body works harder to maintain normal temperature. A good standard for video game room temperature is such that you get light chills in normal indoor clothing. You also save money in the process unless of course you happen to live in a hot climate then lowering the room temperature eats into your electricity bill. This is a super strong passive weight loss method with requires no extra effort (unless you have helplessly out of control habit of binge drinking sweet sodas, in that case you do need to fight to show willpower) and saves you money. Yes, drinking cold or icy water makes your body work harder to maintain normal temperature hence increase in energy consumption. Playing video games can demand very little from your physique and you get a tingling feeling reminding you to do something with your body. For most gamers the choice is easy - just some candy, chocolate, chips and other easy to eat treats to keep the good old temple of your soul ticking. Substituting treats with healthy snacks is much harder to do than giving up Mountain Dew and drinking water instead. Here I would just like to suggest that you add some rice cakes to your snack food mix. Eat rice cookies between treats and fill your stomach with light calories. Use the ones without salt and avoid strokes. I've been using Google Alerts to follow Zynga articles and news. I have noticed one alarming trend from Zynga's standpoint. About 20-30% of everything caught in the Google bot net is related to Zynga Poker. That is either evidence on how stupid Facebook users are or on the importance of Poker for Zynga. It makes a worrying scenario to think how a game company is not focusing on game content innovation but instead into a distribution channel. After all it is a sales channel strategy if you take a public domain game and present it to a new audience. If your competitor wants to have your pie all they need to do is to pay more and grab that channel. Well, ok, I admit that it is not that simple those poker friends inside Zynga game also do count. They really need to start innovating instead of managing business and cutting costs. I'd pull my money out of this stock if I had any. Maybe you should also consider what to do with your stocks. OK. I went and reshuffled the order on my gamer girl list. Vote your favorite up on the list by telling her name on comments! There is a whole new entry on the list the wonderfully racy Tara Babcock, don't you just love that name! Anyhow I was thinking that this will just be a random list, but now I'm thinking to set some sort of criteria for the list. Criteria might include post frequency, post quality, personal stuff etc. If you have any ideas - I'm listening. It is an interesting question what will happen to games, which are based on third party intellectual properties like FIFA, NHL, Madden NFL, UFC and other capital letter titles. Granted there is a BIG up as these titles do have ready following and many people do prefer a game with their real life heroes on it instead of generic characters. Today this is especially important because a basic unit for development budget keeps pushing up from million to ten millions. However it is not your content so you need to pay for using the franchise theme. Also you can't turn the product into something else because you need to follow pretty strict guidelines regarding the brand - so no sharp metal sticks in NHL 2015 Extreme (which would be super fun). Also you end up sitting in many unproductive meetings regarding the implementation of the game and where the development is going and those meetings are already many enough without the third party implementation. I know game companies are looking more and more into just creating their own content that can be turned into a cash cow. Rovio might be one good example that has now turned from game company into an entertainment company, which licenses its content to others. 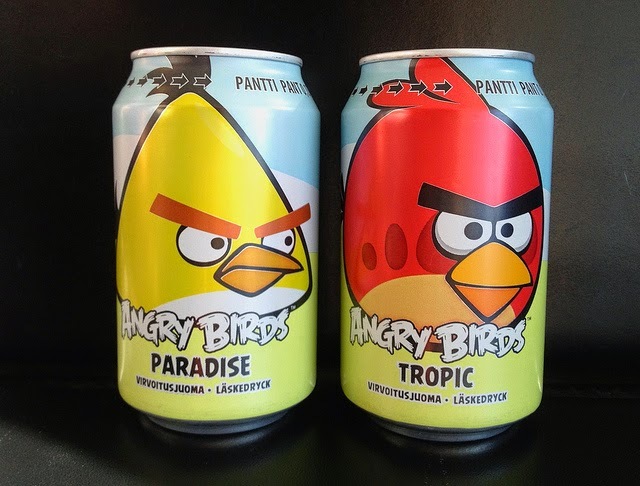 Rovio has tremendously good profit margin and while making good money from their IP they have managed to steer away from expensive product development as now they don't have a need to code up game engines without knowing if the product will sell. Unfortunately you never know what will be a success! Third party IP will probably stay there as the games have carved up a solid segment for themselves, but I believe you need to go forward by creating your own original titles to capitalize the success. Finland's leading newspaper Helsingin Sanomat ran an article about Supercell where they interviewed the company CEO Ilkka Paananen. Ilkka was very upbeat about the preliminary success of the Boom Beach game and sales figures also support this claim as Boom Beach has been reaching TOP10 sales listings on many markets. It seriously looks like Supercell is becoming a three legged horse, which would make it a strong candidate for future games. Focusing on quality instead of titles let's them have far more accurate hands on management style with their games, just check the latest update with Clash of Clans - CLAN WARS ARRIVED - now that is something that keeps on squeezing juice out of gamers. I have written some prickly things about EA, but while doing some research I stumble to this EVIL claim time and time again. I was thinking that with this blog title I might get some visits from people who have rather strong opinion on the matter. Maybe write a comment and say what you think, OK? What we now have on gaming news sites is a wall of comments on how Dead Space is available as a free download at EA's Origin service. Yahoo! Good for gamers I say, so here is what I did, I opened a free Origin account. After all I am an oddball gamer since I don't have Steam account. I decided that it might be a good learning experience to see what online gaming has to offer at Origin. Maybe later I go and check the Steam and compare the two. WAIT A MINUTE WHERES ULTIMA? Is it just me or does it feel strange to get online gaming under the name Origin instead of Ultimas? Granted, you have to be an old timer to remember those days. Younger generation is much more accustomed to own something digital. For me it is important to have that game as a physical product, which I can later on sell if I feel like it. Well no point of feeling sorry for Origin as it has been in Electronic Arts stable since 1992. On that ownership department nothing has changed and younger generation hasn't even heard of Ultimas since the plug was pulled. For the rest of us the name comes with some sort of pedigree. Really nice branding move from EA. Although for me it is especially difficult to move past the fact of putting Privateer Online on the shelf. Obviously EA hasn't gotten enough steam behind their effort to match the sales of the Steam. All the time I have been in business life a free offer has been an attempt to get some solid assets (customers) under your feet. So what we got here is a failure to compete head to head with the current industry leader and some extra oomph was needed. I doubt that Dead Space is that extra oomph. It lacked the sales then and it will lack the interest now. It is just thrown into the mix because the title doesn't bring in any money in any case. Basically this is a scenario of too little too late. What they should do is to combine Titanfall-like visibility into a free-to-play and recoup their losses in future from much bigger user base. Unfortunately once financial powerhouse EA is reeling from mixture of bad decisions and market trend changes and can't digest this sort of up-front investment at the moment. Origin service is not going to pick up speed any time soon. WHY IT IS A LIFE AND DEATH MATTER FOR EA? Games are leaving dedicated chains like GameStop and being introduced in household chains, which are master cost-cutters and price squeezers. This will lower the margin a game publisher will get from sold unit. You don't have to be a Holmes to see that revenue from games is slipping and the only way to maintain the margin is to deliver directly to consumer retina. EA needs Origin to retain as much profit for themselves as possible. This is the single biggest key to a solid finances for EA and it is strange how little they are pushing into it. Set all classic EA games as free-to-play on Origin and drive hordes of new users into the service. When everybody and their moms are in they never want to leave, because all their stats and playmates are there too. You don't want to give up your accomplishments and the longer you spend on Origin the more history you get with the service and everything it has to offer. Do it this way and there is a good chance Origin vs Steam will be like Xbox (One) vs PS3 (4) currently is. KING DIGITAL STARTS WITH A FREE FALL BUT CAN IT FARM ITS WAY UP AND LEVEL? King Digital stock started its journey at open markets. It rained hails and arrows as our new hero first ran out from the home base. Harsh was the test our hero was put on and as a newbie it faltered and fell. Now it must battle the lack of new super hits similar to Candy Crush Saga. Stock must also fight against the gradual loss of interest because nobody plays one game indefinitely... anymore. How will the stock gain some desperately needed experience points and level up? It will be an interesting show to follow the adventures of Zynga, King Digital and Supercell.